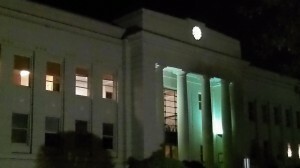 Where property taxes are collected and distributed: the county courthouse. There is no end to the complaints about Oregon’s tax system, or to the proposals for fixing it. The latest comes from the Portland City Club, where a committee has written a report with recommendations for fixing the property tax. But there’s reason to be wary of so-called reforms.